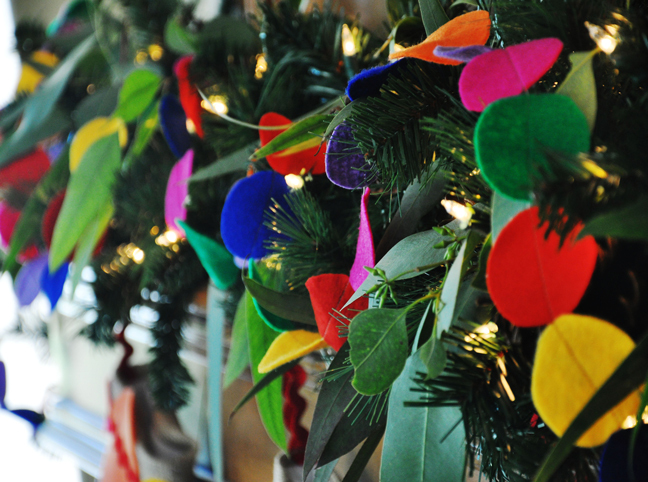 Take a break from the traditional red and green and incorporate color this season by creating this easy, vivid garland for your mantle, or even the whole tree. 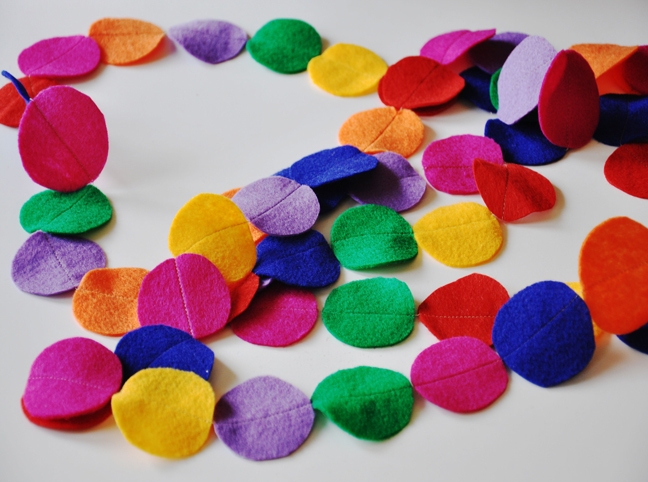 Using simple tools and inexpensive materials, you can have a vibrant themed holiday in your home this year. 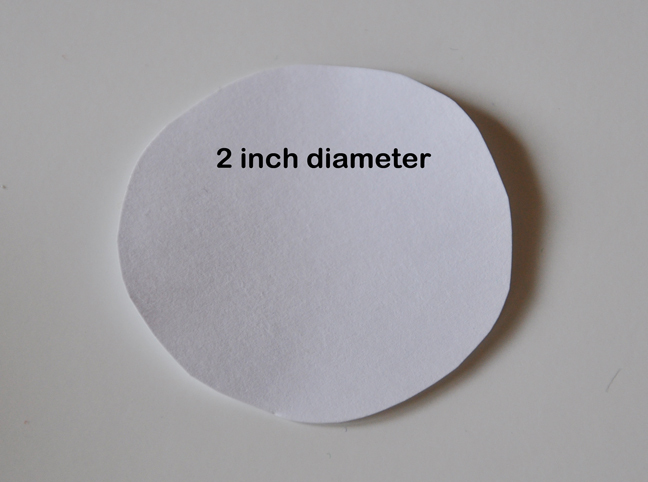 Cut a 2inch diameter circle from cardstock. 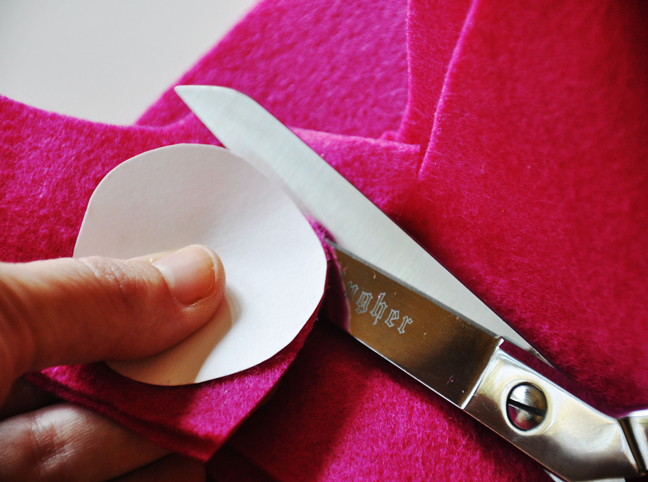 Holding the template on the felt with your finger, carefully cut around the circle. 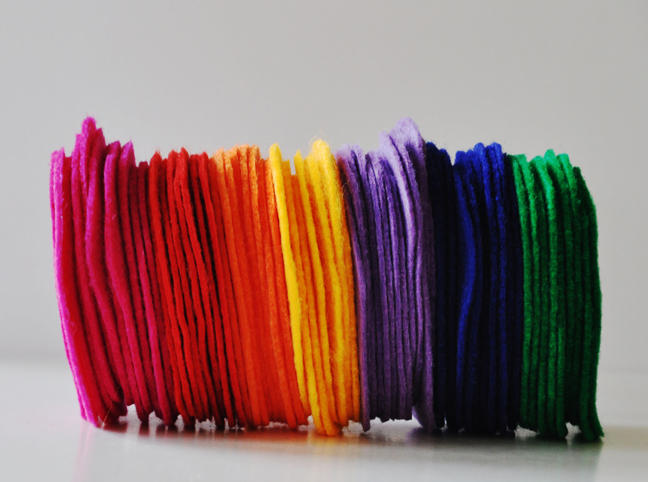 Cut several pieces of each color. The amount is up to you. 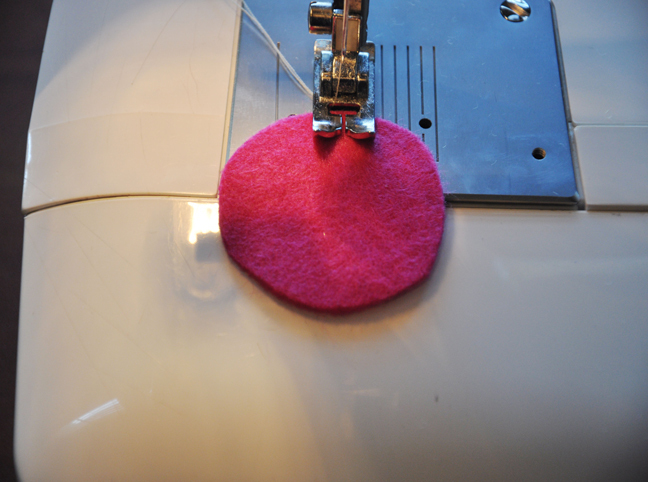 Starting with one circle, sew a straight line down the center of the circle. 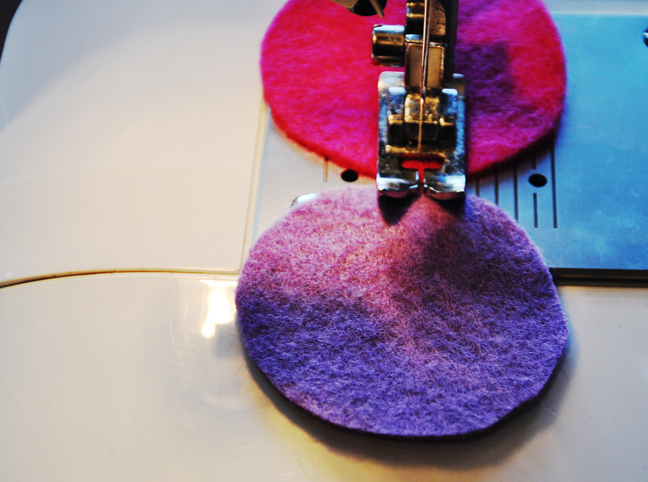 As you get close to the edge of the circle, place another one right after it and let the machine piece it together. 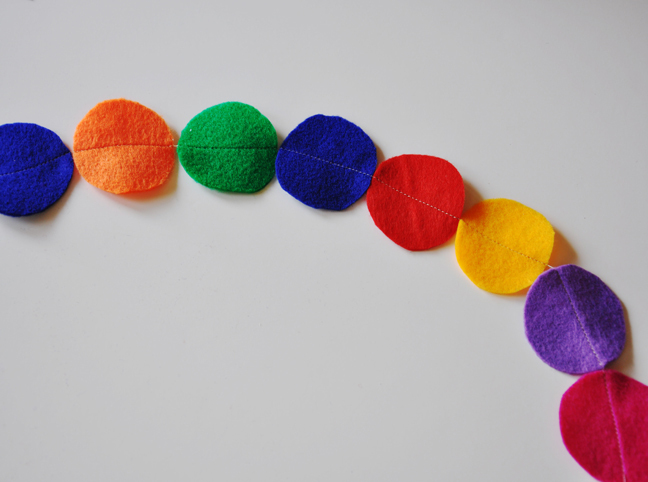 Pretty soon, you will have a cohesive line of colorful circles. The length will depend on your project. You can make it 10 feet for a mantle, or 50 feet for your tree! 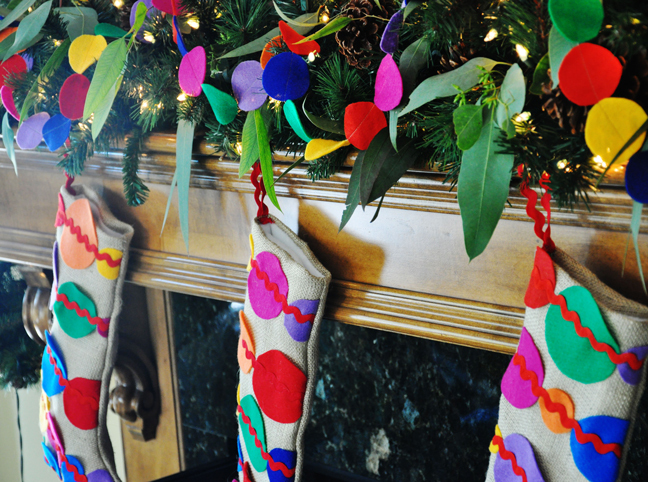 Hang it around the house and bring on some cheer!